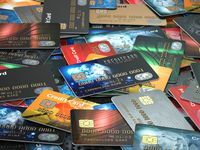 Travel rewards cards and cashback rewards cards are two highly sought after credit cards, but you may be wondering how they differ. We have compiled a short list to assist you in trying to figure out which card is going to be best for you. It really comes down to how much you travel and how much you travel internationally to determine if a travel rewards card is going to be a better fit than a cashback rewards card. With a travel rewards card, you will receive higher rewards. For the average cashback rewards card, you will receive 1%-2% back in rewards, but you could receive a higher amount like 3% with a travel rewards card. Additionally, many travel rewards cards have fairly substantial opening bonuses if you spend a certain amount within a couple of months. If you are someone with a higher income or who tends to use his or her credit card for a lot of purchases, you might appreciate the higher rewards from a travel rewards card. As is no surprise, a travel rewards card features greater travel perks, making points worth more for travel-related expenses. For example, on a cashback card, you might just have 100 points, but on a travel rewards card, those 100 points turn into 125 points when used for a travel-related expense. You may also receive other benefits like free checked bags, companion passes, access to lounges, and priority boarding. While it is often cheaper even to use a regular credit card overseas because you often will pay less than if you exchange money at the airport or a bank, travel rewards cards often feature lower foreign transaction fees, or even no fees at all. This is where the travel rewards card becomes the clear winner for international travelers. You typically will spend around 3% in a foreign transaction fee, so not having that fee would add up to a significant savings if you travel overseas a lot. In the end, for most people, the cashback rewards card is going to be a better option, as you will receive consistent rewards. If you happen to be the type of person who travels frequently, especially internationally, it should come as no surprise that travel rewards cards will be the better options for you. How Do Business Rewards Cards Differ From Regular Rewards Cards?